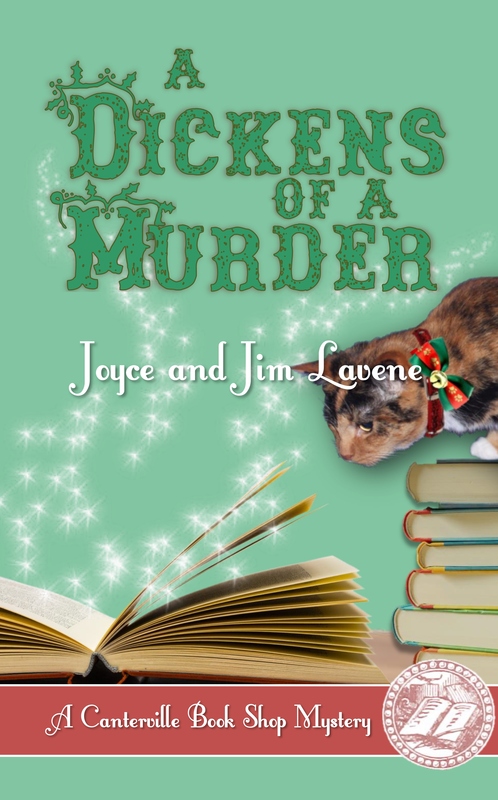 A DICKENS OF A MURDER by authors Joyce and Jim Lavene, is one of their most fun and original books to date! I’m hooked on this new series. 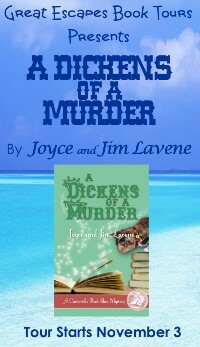 A Dickens of A Murder is a charming whodunnit that will please the bibliophile that lives in all of us. I was so captivated by this book. Lisa Wellman and Simon Canterville are strong characters that really pull you in to the story. I loved the book. It has so many of the story elements that I truly enjoy: mystery, a book store, and a struggling author who just happens to be a former librarian. It’s one of my dream worlds. 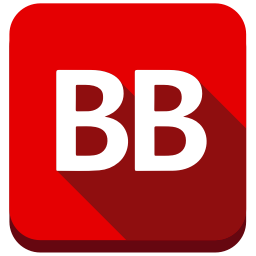 … it is a compelling story, brilliantly written with lovable characters. What happens when you throw books, an author’s ghost and murder into the mix? A crazy adventure with mayhem and even past love. 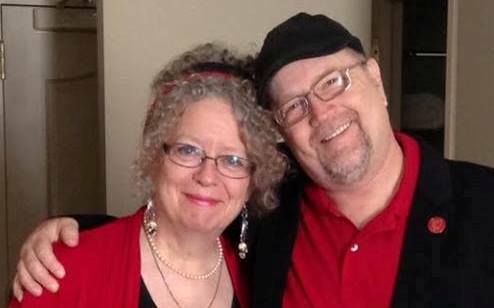 Joyce and Jim Lavene have enchanted me yet again. …a charming tale of mystery, betrayal and a touch of romance. A fun read with twists and turns readers have come to expect from Joyce and Jim. I loved every single moment of this book and tried to read it as slowly as possible to keep it from ending. This book captivated me from the beginning. I love the ghost and parapsychology angle to this book. I absolutely loved this book. There are so many good plot intricacies and they all play together to form an amazing story. …this was a perfect weekend read – fun and relaxing, and a great start to a new cozy series.